I have been involved with polyamory groups for a few years now, both in Philadelphia and Atlanta. I have met some pretty cool people through these groups, and have had some interesting discussions and learned a lot from people. 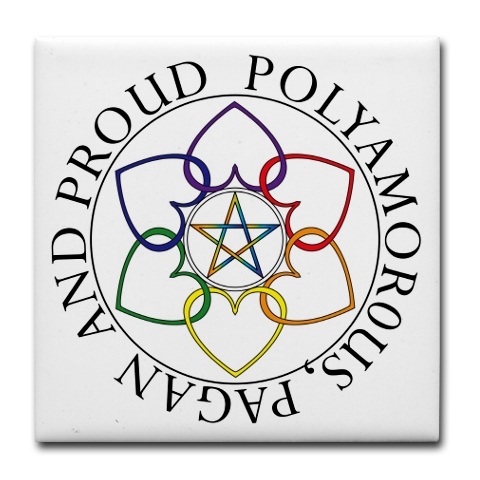 But one thing I have noticed in the past, and it is true here in Atlanta as well, is that there is a very significant overlap of polyamorous people and Paganism. Now, the term Pagan is too large to try and define here, so I will not try. But there is also a large segment of the Pagan population that is also into certain things which I, as well as many other skeptics, often refer to as Woo. What is Woo, you ask? Woo is is chakras, vibrations, and astrology. Woo is metaphysical silliness that uses words like ‘energy’ (but not even close to it’s physics meaning) or even worse ‘energies’. Woo is the New Age, or as some call it, ‘newage’ (rhyming with ‘sewage’). It is a significant part of the new Paganism, while having little or nothing to do with pre-Christian Paganism. And at the same time it has its own life outside of pagan communities. Some of it lives within liberal Christian communities as well. Some of it lives by itself in psychics, Tarot card readers, and in pseudo-scientific practitioners that use techniques that are proven to not be effective. Charlatans, unconsciously or deceptively, they all are. As far as all of the skeptical inquiry into such matters has so far shown, these beliefs are not justified. In an age of Twilight, Oprah, and the liberal love of spirituality mixed with pseudoscience, it is sometimes difficult to be a skeptic without sometimes feeling cynical. There are people convinced that vaccines are dangerous, an idea which endangers people. There are people who don’t take their children to doctors, only to pray while they watch them die. And while these ideas are dangerous on a personal and societal level, Woo is downright annoying and insipid. When people start talking about their energies merging with someone else’s energies, with their chakras opening up, crystal power, or something about their quantum Secret, I wonder how bad our educational system is in terms of preparing people for scientific literacy. I wonder how people can swallow such idiotic crap without even trying to question it skeptically. Paired with a few chapters about how physics actually works, Stenger shows how such New Age beliefs simply do not hold up to scrutiny. Real physics–science in general–is a beautiful thing that does not need to be made artificially more beautiful by adding in chakras or even prophecies (Celestine or otherwise). Another great resource is the James Randi Educational Foundation, which offers a million dollars to anyone who can prove the reality or effectiveness of paranormal abilities. So far, nobody has won the money, even though people like Sylvia Brown and Uri Gellar are very aware of Randi and his challenge. The same goes for chakras, energies, and other New Age ideas; none have stood up to any serious scrutiny by the larger skeptic community. And so as I navigate the world of polyamory, more so than other areas of my life, I find myself confronted with these kinds of New Age ideas. In other aspects of my life I find myself confronted by evangelical Christians, people whom are sometimes chastised by Pagans for their views while the Christians see them as Satanic. Now, the Christians I understand, even if I disagree with them about most things; they were raised in an environment that derives from an ancient book that has cultural grips on them. It is embedded in our culture and becomes part of them at a young age. But New Age, despite its attempts to claim its ancient origins, is new. Quite frankly, I have studied some of the old Pagan traditions and found them nothing like the new religious movements such as Wicca and other communities which I have observed. And while they tend to be more liberal and open-minded about many social issues, they are muddle-headed about the nature of reality, perhaps more so than many of the fundamentalist Christians I meet. And what is so frustrating is that because they view themselves as so open-minded, so tolerant, etc, they sometimes take criticism worse than Christians ever do. I have seen Pagans become enraged at hearing tough questions about their beliefs. Perhaps because so much of the New Age worldview encourages emotional openness, many of them are thin-skinned because their beliefs are almost never criticized, especially while they are in ear-shot. They are not as used to the criticism as more well-known beliefs, such as Christianity, might be. But since I am told that I should keep an open mind about such things (which I do by the way), I will end this little rant with an excellent video by qualiasoup about open-mindedness. We should keep an open mind, but not so open that our brains fall out. Oh, thank you so much for writing this. It’s incredibly frustrating for me, and one of the major reasons I don’t like to accept the “polyamory” label. Why shouldn’t you be cynical Shaun. You are cavorting with flakes in a world where the AVERAGE person can’t name a single justice on the supreme court let alone engage in a serious discussion about philosophy. Whats to wonder about? Most of our species are essentially highly trainable animals. You can’t blame anything on education. If you have even a scrap of a brain today you will educate yourself. By the way you make several throw-away claims that are in need of refinement.For example the JREF still offers the million dollar prize but it will be discontinued next year. And by the way Shaun, you yourself were taken in by “What the bleep do we know?” at least initially. I had to school you on it. Remember? The point of bringing up the jref challenge is that it has existed for a long time and nobody has passed it. And it will not be ending. I don’t remember that you schooled me about anything. I think you are confusing me with someone else. The first time I heard about What the Bleep… was from a fan of the movie. I subsequently educated myself and never fell for it. Perhaps at first I just didn’t know what it was, but I never fell for it. Yes, you really nailed me. I had not known precisely who was behind the movie. Yeah, I really fell for it. I have to admit that you got me. For the most part I agree with your post but there are certain parts of it that make me feel like your putting a lot eggs in one basket. I have no issue with the video you posted and everything stated in there makes total sense to me. Not all people who have daily use of words like chakra or believe that their merging their energy with someone else’s seek in their arrogance to explain the mysteries of the universe by giving some bogus tie in to quantum mechanics which has nothing to do with that stuff. While I’m all for the scientific approach, there are certain things for which you have no evidence but for practical reasons it would be healthy to assume a certain possibility is the correct one. For example, if you date a girl and seems to be going well until at some point she suddenly excommunicates you, a lot of people feel the inevitable need to jump to some conclusion as to why it happened in a feeble attempt to learn from their mistakes. You can’t know however because the girl didn’t tell you why before she broke contact with you. The best you can do is guess and strive to be a better date. 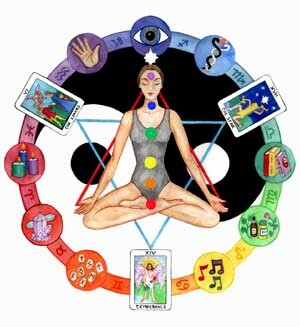 Likewise, there are many practices that have to do with Chakras and harnessing life energy that do not presume to explain how our universe works but rather to give people a set of beneficial beliefs and practices that can make their life healthier. Some people who pursue such courses invite scientists to research whether these practices do have the stated effects and hope that scientists will find explanations for them some day. But in the mean time, anyone can try it, and if it works for you, why not benefit from it? For example, Tai Chi is an internal martial art that teaches among other things efficient body movement. Through a training program supposedly refined through thousands of years of Taoist researchers observing the human body practitioners may after many years through discipline and persistance learn to manipulate their body more efficiently and waste less energy. There is no hocus pocus here or magic potion. It’s learning to reduce wasted muscle movement, focus usage of muscles in the right places, pivot points, efficient angles, learning where to shift your weight to keep the best balance, working from the center of your body i.e. trying to use your pelvis more than most people are used to. Very down to earth kind of things that have nothing to do with houdini quantum mechanics. Thank you for the post, and especially the video. I’m going to share it with a friend, she’ll dig it. The video, and what you have written, helped ground me somewhat. I am curious about spiritual things, but have been able to utilize a healthy degree of skepticism, until lately. Been letting my mind wander too much without thinking critically. I do believe that some supernatural things might be true, and that science does not have all the answers, but science and critical inquiry do have their place, and are necessary for navigating one’s way through the world. I am certainly not a person to toss science out entirely. I just don’t think it covers everything. Regarding polyamory – I guess it depends on the group you are involved with. If people are emotionally mature, it could be a good thing, I suppose. The only serious concern I would have then would be a higher risk of disease. Condoms fail sometimes, and monogamy is safer, but polyamory certainly has its appeal. And I am not surprised you run into a lot of pagans. I’ve been reading some pagan literature lately, and some books make a big deal out of polyamory. Poly filters for a high degree of open mindedness and interest in how the mind works, so I think it has a very relatively high rate of rationals, as evidenced to me by my stumbling across people like you within a couple of hours of poking around. It would be pretty hard to find someone with that belief set in the population at large. Anyway, if you happen to know anyone who might be interested in life coaching, I’d love if you would send them my way. I imagine there are a lot of people interested in self help who have an atheist/poly leaning who have a hard time finding coaches and therapists and would love what I have to offer, if I could just hook up with them 😉 I’m just getting started, so I don’t charge very much, and I’m doing a three free sample sessions offer. Although I classify as Pagan, I’m down for skepticism and science. In general, I try not to hold too tightly to any of my beliefs as they flux frequently depending on the current state of evidence and my current personal preference. When it comes to the supernatural though, I believe that it is JUST as important to be able to prove that it’s false as it is to prove that it’s true. Just because one can’t prove that it’s true doesn’t mean that it is in fact false just like just because someone can’t prove that it’s false doesn’t mean that it is true. I’m all down for science, but science is always and always will be a work in progress. When the ideas that the world was round surfaced, it was shot down because it couldn’t be proven. Same thing happened when people suggested that the universe DIDN’T revolve around the Earth. At one time science thought that electricity was “supernatural” and impossible. Just because it couldn’t be proven. Now I’m not suggesting that everything supernatural is true by any means. I’m sure a lot of it will end up being “hocus pokus” but I think it would be a mistake to assume, and subscribe to the idea that it’s all false just because it can’t be proven today. Think of all the advancements in science that have happened in the past 100 years alone. There are plenty of things that couldn’t be measured or proven by science 100 years ago that are now known to be fact because ways of measurement have been improved. I’m not saying you should believe in the supernatural. I’m just saying make sure you keep an open mind and accept the possibility that it “might” exist until a way to prove that it “doesn’t” comes around. On a side note, being Pagan myself, even I get annoyed with the super “crunchy” Pagans. I essentially agree with this critique.